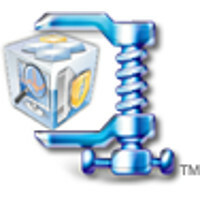 Is your Windows registry causing problems? 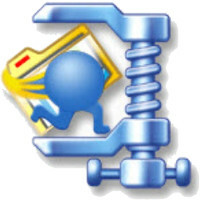 Prevent system crashes and optimize your Windows registry for peak PC performance with WinZip Registry Optimizer, a two-in-one utility that takes the work out of cleaning, repairing, and organizing your PC's registry. Supported Languages: Danish, Dutch, English, Finnish, French, German, Greek, Italian, Japanese, Norwegian, Polish, Portuguese, Russian, Simplified Chinese, Spanish, Swedish, Traditional Chinese, and Turkish. Slow computer? Worried about PC health? Supported Languages: English, German, French, Spanish, Italian, Russian, and Portuguese, Danish, Dutch, Japanese, Norwegian, Chinese Simplified, Finnish, and Swedish. 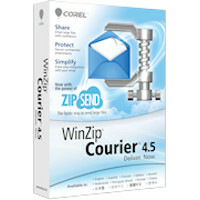 Zip, encrypt, and safely deliver large files without skipping a beat! Simply write an email, attach as many files as you need, and click Send - Courier will take care of the rest. 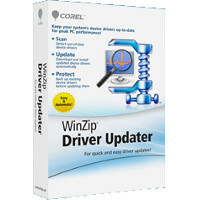 Powerful utility that makes the task of managing your PC's device driver updates quick and easy! 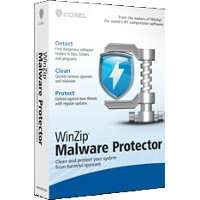 Experience the power of WinZip–on your Mac! 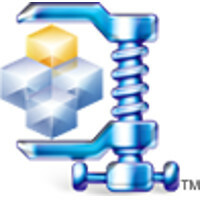 Designed specifically for Mac users, WinZip Mac Edition is packed with special features to help maximize your productivity and minimize your file sizes. 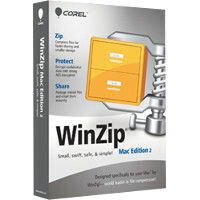 Share more, store more, and get your work done effortlessly with WinZip Mac Edition. Ideal for electronic file distribution, because they contain multiple compressed files, minimizing download time and ensuring that important files do not become separated.